For over 30 years, the Bridal Festival has been helping brides, grooms, mothers and fathers plan, organize, and deliver successful weddings. President Tammy Schneider and daughter Tiffany Teal have proudly assisted thousands of weddings in Spokane, Coeur d’Alene, and the Inland Northwest. The Bridal Festival was designed to help brides plan their entire wedding all under one roof in one weekend. We give brides the opportunity to meet one-on-one with the best of the best in the wedding industry, from the flowers to caterers, event facilities, photographers, decorators, and even the ring! 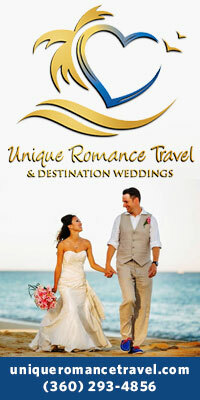 Most of the wedding professionals offer specials exclusive to this event. Brides can even view elegant runway fashion shows to show off the latest in colors and styles, from the wedding gown and tuxedos to honeymoon attire. During the winter bridal show, we feature a “Man Cave” for those looking to relax with food, drink, and football on the big screen. Brides will have the opportunity to register for up to $30,000 in prizes and hourly giveaways. It’s an event you won’t want to miss! ©2019 BRIDAL FESTIVAL. All Rights Reserved. Northwest’s Premier Bridal Festival, A Tammy Schneider Enterprise.